Ballet, in its airy flights and graces, its aspiration upward, is a close relative of the bird. So it's no surprise that the ballet stage is full of fantastical feathered visions: not only swans but firebirds, flamingos, magical cockerels and even the humble farmyard chook. Take a peek inside the aviary. 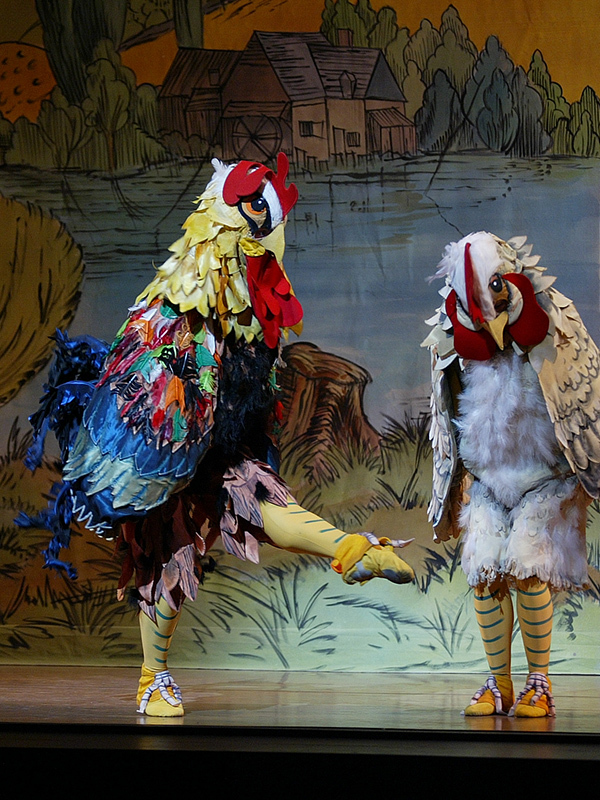 The Golden Cockerel, based on the Rimsky-Korsakov opera, was first made by Michel Fokine for Diaghilev's Ballets Russes; the cockerel itself was a puppet. 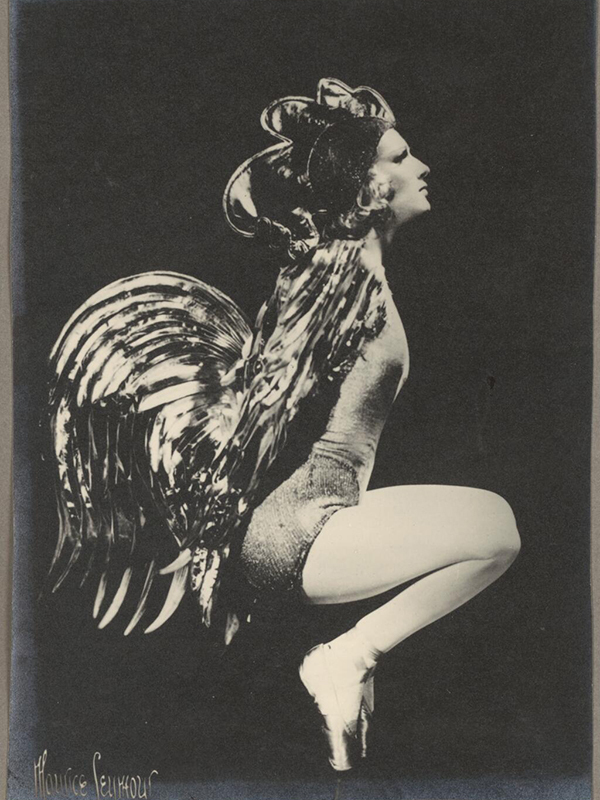 When Fokine restaged the ballet as a one-act work in 1937 for Colonel de Basil’s Ballets Russes, the Cockerel role blossomed into a dancer en pointe, a role for the sensational 'baby ballerina' Tatiana Riabouchinska - but she didn't dance with the melting grace of a swan queen. The Cockerel's movements were abrupt, swift and savage, befitting a creature that pecks to death a treacherous king at the ballet's climax and struts over his body. In 2012, Alexei Ratmansky revived The Golden Cockerel for American Ballet Theatre. What is ballet without its lakes full of swans? The enchanted maidens, led by their queen Odette, meld the avian and the human in one exquisite form. 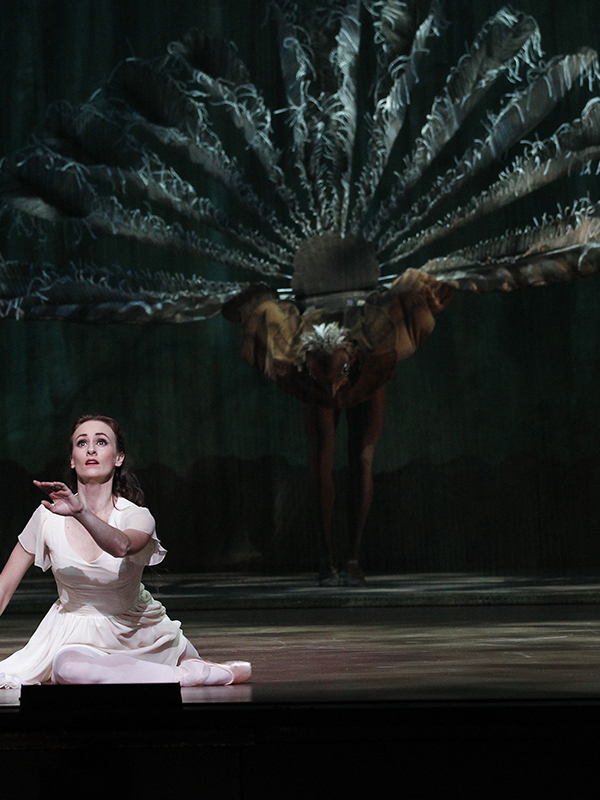 Principal Artist Amber Scott says, "My arms and back are always aching after Swan Lake. Wings are powerful on birds: that’s what they use to elevate themselves. I always imagine the wings starting from the centre of my spine and coming out. You use your whole body, almost like you’re in water. Your elbows are doing circles, and your arms aren’t going straight up and down – it’s a curved movement.” To Scott, Odette’s fluttering quivers are the bewitched queen shaking the water off herself after her transformation from bird to woman. 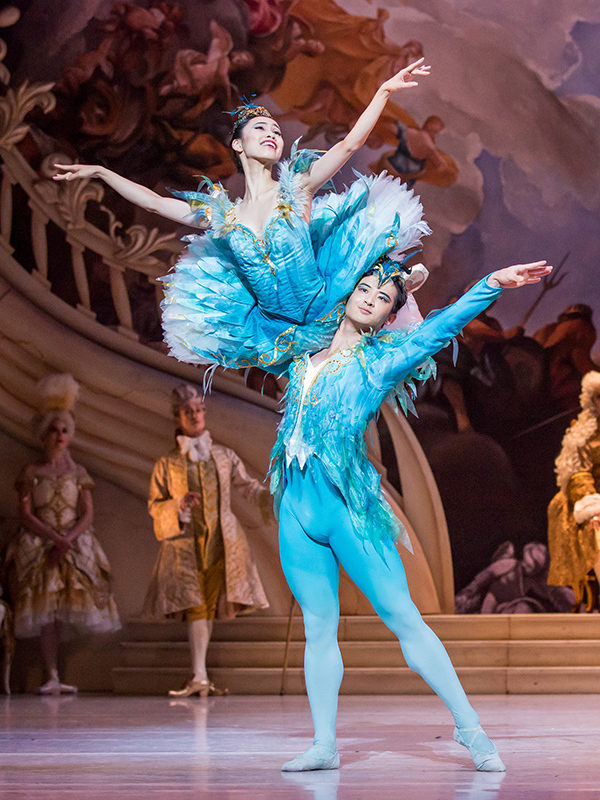 Of all the ballet birds, it is The Sleeping Beauty's Bluebird who comes closest to convincing us that he can fly: the male dancer must bound into the air, fluttering his arms and hands like wings, for almost his whole variation and coda. 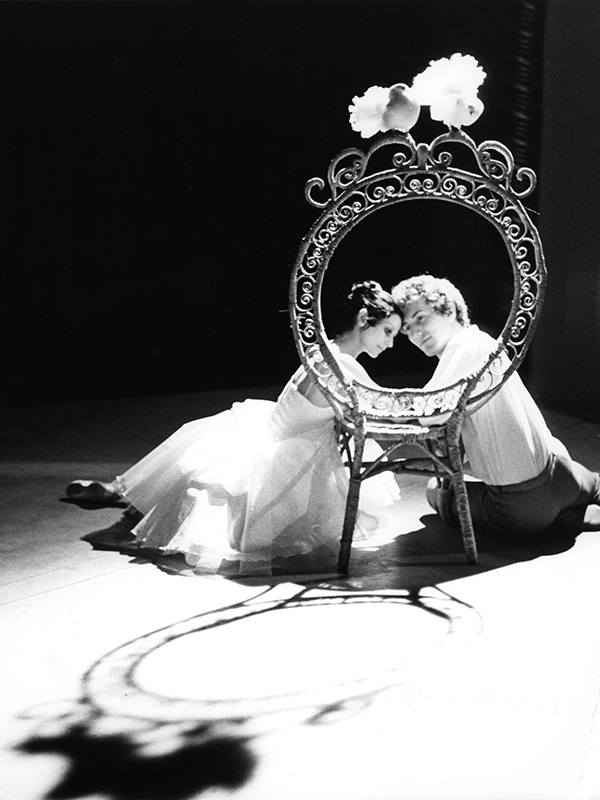 In the Bluebird Pas de deux, he flirts delightfully with his human love, the Princess Florine (the Bluebird is himself an enchanted human, so it's not as weird as it sounds). Tchaikovsky frames their flittings and leaps with delightful trills of the flute and clarinet. The Bluebird is not the only winged charmer in The Sleeping Beauty. The adorable Canary Fairy was originally called Canari qui chante (songbird) or Fairy of the Songbirds, and is also known as the Fairy of Musicality. In her variation at the Princess Aurora's christening, she darts across the stage , 'singing' with vibrating fingers held to her mouth. 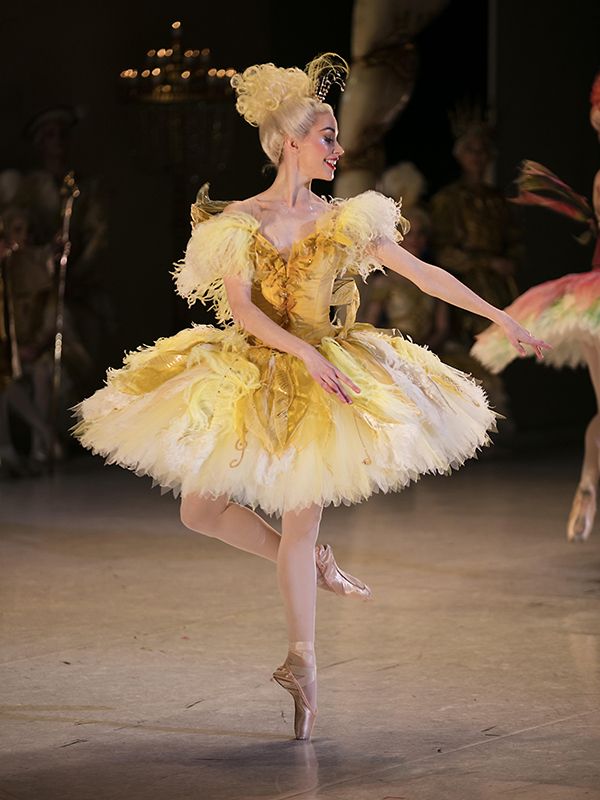 In David McAllister's Beauty, she wears a yellow tutu sewn with treble clef motifs, and her head is crowned with tiny feather plumes. Like the Golden Cockerel, the Firebird is more forceful and strange than her fairytale bretheren in The Sleeping Beauty or Swan Lake. She's a mythical creature whose feathers summon her magical help, a wild creature who struggles in the capturing arms of Prince Ivan. Like the Cockerel, she is a Fokine creation. The first Firebird, Tamara Karsavina, relates in her book Theatre Street how Fokine urged her in rehearsals to "Forget your graces ... The Firebird is powerful, hard to manage, rebellious." Graeme Murphy says of his Firebird, "I was fighting very hard to make it nervous, twitchy, alert at all times, all-seeing, all-knowing - birds are, you know? That sense of awareness of everything around them, heads that do 360s, eyes that are everywhere. And the sense that stillness is danger." Frederick Ashton's idyllic version of the pastoral ballet La Fille mal gardée opens with a splendid rooster announcing dawn and inviting his chicken harem down from their perches to peck, scratch and preen their way through a charming pas de cinq. Ashton, who loved the English countryside and all its traditions, lavishes this little morsel with such affection and rich observation of bird nature that, like the rest of the ballet, it transcends its seemingly banal nature and becomes something to cherish. Ashton gave us another memorable ballet bird, Jemima Puddle-Duck, in his Tales of Beatrix Potter. Croquet, anyone? The flamingos in Christopher Wheeldon's Alice's Adventures in Wonderland© are brilliantly evoked by dancers with beaks on their hands, their arms mimicking the birds' sinuous necks as they bend to forage or shoot up like periscopes to watch for danger - in this case, the furious Queen of Hearts. Robert Helpmann's ballet The Display, made for The Australian Ballet in 1964, shone a light on the thuggishness of Australian male culture: the title is both a reference to the mating display of the lyrebird and the bravado, bullying and brutish violence of Aussie blokes as they show off to their girlfriends at a picnic in the forest. 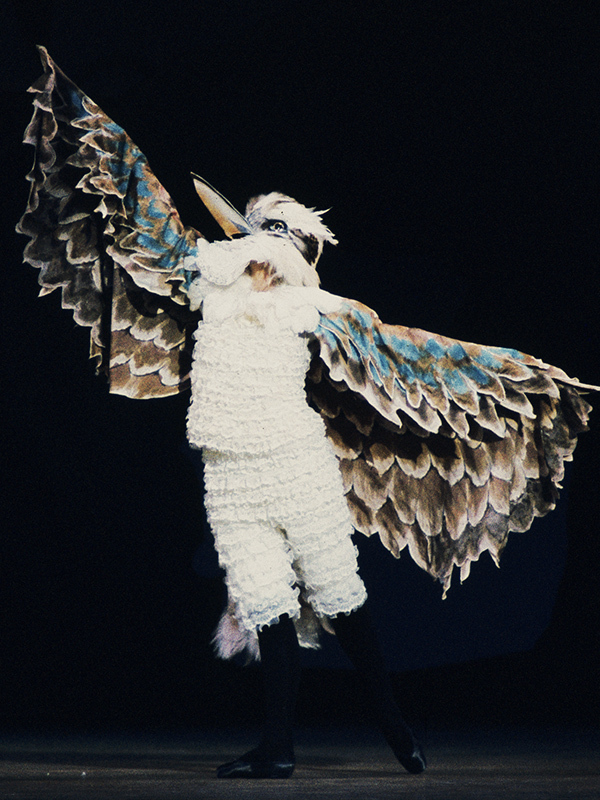 When the company revived the work in 2012 for its Icons season, the Lyrebird's costume, designed by the great Australian painter Sydney Nolan, was modified to make it easier to dance in. The original weighed over six kilos. It was structured around a harness, with handles to manipulate the tail feathers, which were over two metres in length and spanned almost five metres when spread. 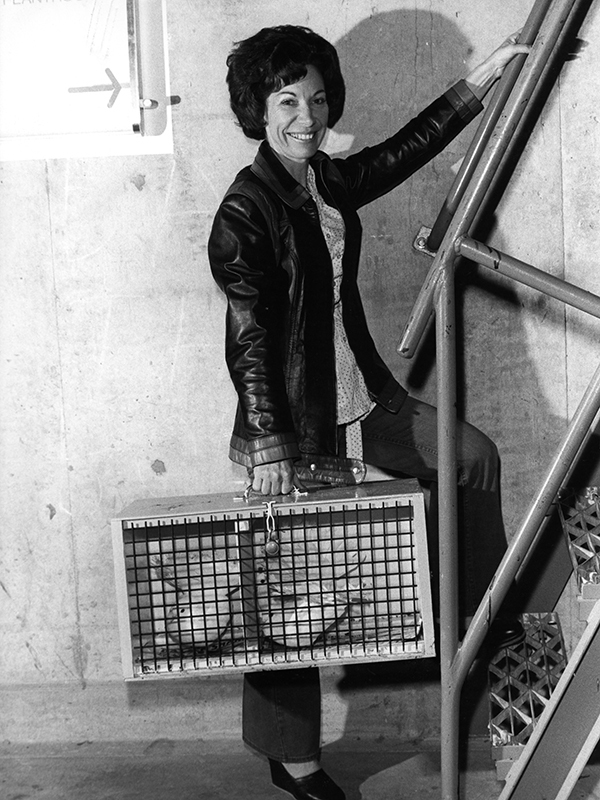 The weight of the tail meant Barry Kitcher, who performed the role, had to lean steeply forward to counterbalance. Petal Miller-Ashmole's fanciful adaptation of the beloved May Gibbs children's story Snugglepot and Cuddlepie featured designs by Hugh Colman. Mrs Kookaburra is one of the main characters, a firm friend of the Gumnuts, who often steps into rescue them from the terrifying Bad Banksia Men. Colman gives her old-fashioned frilly bloomers to imitate the ruffle of her feathers and a magnificent cloak with a dash of blue - just like the wings of the kookaburra, which is a kingfisher native to Australia. Actual birds of ballet! In Frederick Ashton's The Two Pigeons, the quarrelling lovers are depicted as birds who squabble, strut, peck and then bill and coo. Their troubled love story is mirrored by two live pigeons; when the Young Man runs off with a gypsy girl, one bird flies off stage. When he returns, so does the bird, and both pigeons perch on the chair of the reconciled sweethearts.